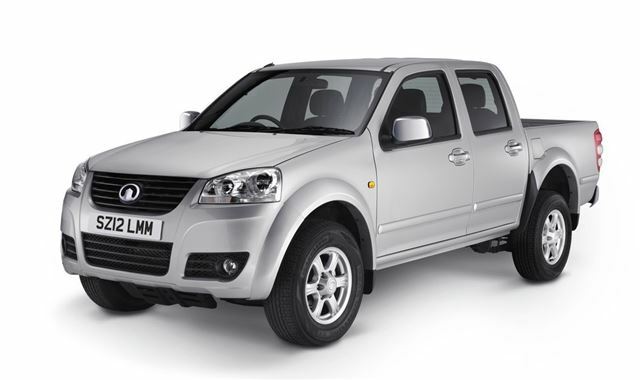 Great Wall will become the first Chinese car brand in the UK when it launches its Steed pick-up this April. Described as a 'robust and highly practical pick-up', it is priced at just £13,998 plus VAT which is the lowest price for any double-cab pick-up in the UK. It's powered by a 2.0-litre diesel engine with 143PS and 305Nm of torque which Great Wall calls 'gutsy'. It's combined with a six-speed gearbox and selectable two and four-wheel drive which can be switched on the move. The brand is also claiming class leading urban fuel economy and the lowest insurance ratings of any pick-up, although we've yet to see any official figures to back this up. The Steed, which is called the Wingle in its home market, has been on sale in Australia since 2009 under the V-Series name. While the brand is unknown in the UK the low price will have plenty of appeal for those after a no nonsense working vehicle and should provide a cheaper alternative to the likes of the new Isuzu D-Max, the replacement for the Isuzu Rodeo . The Steed shares a very similar look to the old model Isuzu D-Max/Rodeo.